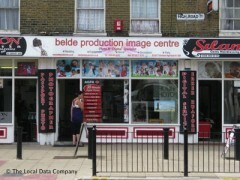 About: Belde Production is a family run local business, selling frames, albums, batteries, bespoke framing, passport photos for all ages, canvas prints, wedding albums, digital memory cards, cameras and cases. We are also one of North London's leading outside catering companies that cover the whole London. We have been providing first class, hassle free service at affordable prices for over 15 years and can bring a personal touch and plenty of ideas to all events. With licensed bar services and many staff members no function is too large to handle and our team are professional, clean and tidy at all times. Whether it’s a small in house dinner or a large corporate event or wedding reception, we will discuss your requirements with you in depth and deliver 100% on the day. Having a party at home and don’t want the hassle of the cooking? Then leave it to us. We will meet with you and discuss your choice of food and drink and give you a night your guests will be really pleased with. Your wedding day will be one of the most memorable in your life and you want it to be remembered for the right reasons. We can meet you at your choice of venue and discuss the food and drink and table plans etc. We will not let you down. Treating your staff to a dinner or asking your clients to attend one? You will want to impress, and we can help. We can meet up with you and discuss your ideas, maybe even give you a couple too; we will supply you with a service and exceptional food and drink that will stand you on good ground. Our catering services for boardroom lunch breaks aim to really impress, our staff will be pleasant and professional serving you the finest of quality food to the delight of your business guests and staff. We can supply that little bit of elegance to your party, give us a call and find out how we can bring that personal touch to your event. Presentation, professionalism and exceptional level of quality of service are our aim. We will supply a team of staff in uniform that will supply first class food and drink for your conference. From Engagement party’s to Birthday Party’s, Christenings to Funeral Suppers we have the experience and professionalism to put on a catering spread fit for a king at any venue. We can supply silver service second to none that will add that elegance to your event. Just contact us and discuss this extra bit of luxury.